Two Uses For Moving Boxes This Halloween! It’s October and you’re packing up your household belongings for the big move when your children start crying that they want to celebrate Halloween one last time in your old neighborhood. What do you do? 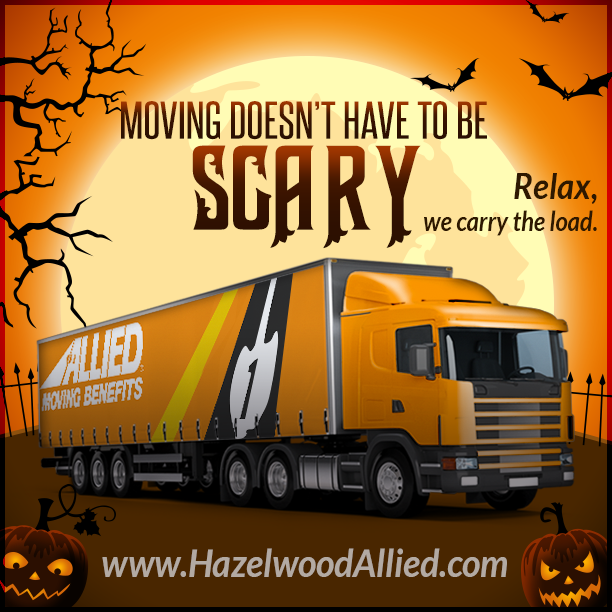 All of the costumes are already packed, and all you’ve got available are some sturdy moving boxes from your Santa Barbara moving company, Hazelwood Allied Moving & Storage. Candy: Let your children be the candy. They can color or paint the boxes as their favorite candy in an effort to attract similar contributions from adoring neighbors. TV Show: Cut a hole in the front of the box to represent the TV screen. Let your child wear a t-shirt or sweatshirt from a favorite show, carry a remote, and voila - it’s TV! X-Ray Machine: If you can find a skeleton costume for your child, go with cutting a hole in the front of the box again, painting it black or gray and calling it an x-ray machine. A Painting: Paint a frame around the edge of the box and let your child decorate it with his or her own artwork. It can be modern art or a self-portrait, but it’s also fun and creative. A Mover: You’ve already got the box. Put a hat on your child and let him carry a few things that haven’t been packed up yet. It’s a great way to get everyone in the spirit of the move. After Halloween, you can even use the boxes for a few last-minute packing needs! Move with Hazelwood Allied, your Santa Barbara movers, and you’ll have more time to enjoy thinking about your new home. Moving shouldn’t be a stressful experience, and it shouldn’t get in the way of family fun. 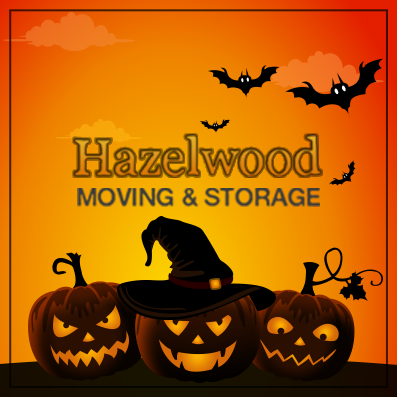 Whether you need a moving company in Santa Barbara or Santa Barbara self-storage facilities, Hazelwood Allied Moving and Storage has everything you require for a successful move, and some ideas for Halloween fun, too! Halloween Extravaganza: Saturday, October 31, 3-6pm, at the Calle Real Shopping Center, located on Calle Real between Patterson and Fairview. This safe and sane Halloween celebration includes a fascinating Tunnel of Living Terrors at the Pet House, a train ride, face painters, twisty balloon creations, three bounce houses, Macaroni Kids, a photo booth, and an obstacle course! Kids love to climb on and explore the AMR ambulance, Sheriff’s cruiser and the Santa Barbara County fire truck! Last year about 1,200 children participated, collecting treats from each merchant while showing off their costumes in and out of nearly every store in the center. Many merchants will be in costume and will have their stores outfitted in scary decorations. There will be lots of candy and giveaways for the kids. So much fun you’ll scream! Lane Farms Pumpkin Patch - Lane Farms Pumpkin Patch has hayrides, farm animals, tractors and farm equipment, educational displays, corn maze and of course….Tons of Pumpkins! Open daily 9am – 9pm beginning the last Saturday of September through October 30th. October 31st open 9am – 5pm. Corn Maze open 3pm weekdays, 9am Sat & Sun. It closes daily 1 hour prior to patch close. Entrance & Parking are at Lane Farms Produce Stand, 308 S. Walnut Lane, Santa Barbara. For more information call (805)964-3773 Please no pets, party goods or picnics. Come to the Farm and enjoy the season! Boocara Family Dance Party - In celebration of the most spooktacular time of year, Bacara Resort & Spa presents a new twist on their annual Halloween party, Boocara Family Dance Party! Boocara takes place on Friday, October 30 from 6:30 p.m. to 8:30 p.m. and includes: DJ for endless dancing and dance games, A candy station for kids, Freakishly fun costume contest, One complimentary select drink for adults. Boocara is complimentary for children and $10 for adults. Space is limited and reservations are required. Voodoo Lounge Halloween Dance Party: Saturday, October 31, 9pm-1am at Montecito Country Club. Featuring DJ Scott Topper, Haunted Action Photo Booth, Voodoo Altar, Dancing Zombies, and Spirited Drink Specials. Must be 21 or older to attend. Blushoween: Angels & Demons: Saturday, October 31, 9pm at Blush Restaurant + Lounge, 630 State Street in Santa Barbara. Chance to win up to $1,000 in cash prizes. A special celebrity guest judge will select winners in categories that include Best Female, Best Male, Best Couple and Best Group. Free cover, food and drink specials, and entertainment are all included. Happy Halloween from Santa Barbara’s careful movers! 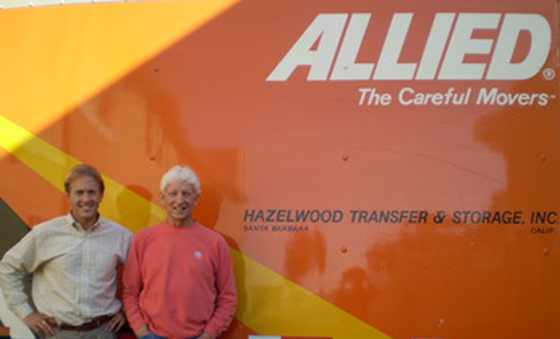 About Hazelwood Allied Moving and Storage: Hazelwood Allied Moving and Storage is one of the oldest family-owned Santa Barbara moving companies. It has everything needed for local, national, and international moves, and manages both residential moves and commercial moves. Its affiliate, McCann Mini Storage, provides storage units in Santa Barbara. Visit the website at http://www.hazelwoodallied.com/home to read testimonials about the Santa Barbara movers. “Like” the Facebook page for moving and storage tips. Call 800-541-5958 for a free moving estimate or information on Santa Barbara storage units.